The flagship venue of legendary Scottish comedy promoter Tommy Sheppard (who also counts the Glasgow, Fife and Falkirk comedy festivals, the Assembly Rooms Fringe venue and two other Stand branches, in Glasgow and Newcastle, among his interests), The Stand Edinburgh is quite simply the king of comedy venues in Scotland’s capital. Its poky wee stage (no bigger than your average Travelodge shower stall) has been graced by the great and good of UK and international comedy – stories still abound of that time Johnny Vegas hijacked an industrial floor buffer for his act, while alt.comedy stars Stewart Lee, Bridget Christie, Simon Munnery and Daniel Kitson all still make regular sojourns here. 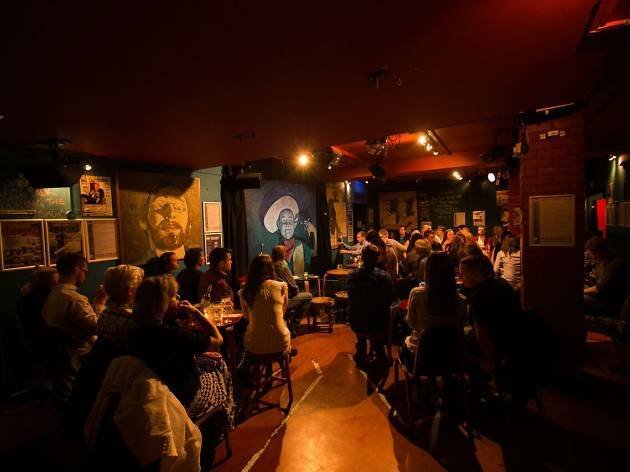 Local heroes visit frequently as well – Kevin Bridges and Frankie Boyle drop by whenever they have new material to workshop, be it at purpose-booked engagements or as surprise guests at the weekly Red Raw new talent night (where old hands polish new jokes as complete novices step up for the first time). 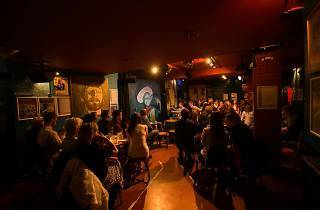 What impresses about The Stand is how, having ticked all the boxes that make it a great live comedy venue, it’s gone on to be a superlative bar as well. The beers on tap include the usual mainstream suspects (Heineken, Fosters), but also feature the locally made (and cherished) Three Hop lager. The food – nachos, burgers and other pub grub favourites – is of a higher standard than that at many nearby joints where the menu is a main feature rather than an optional extra. 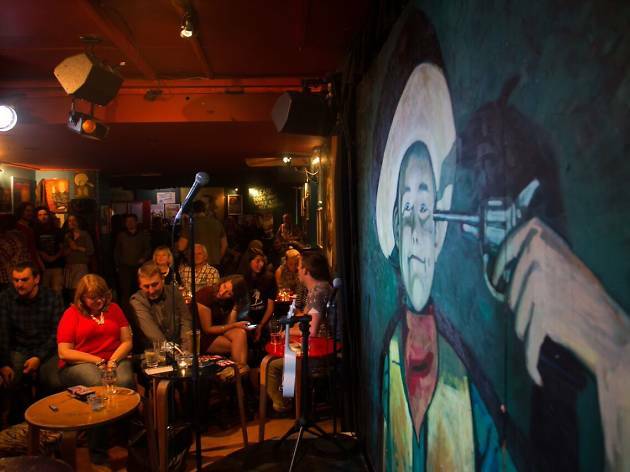 And the atmosphere – you’re unlikely to find a more unique and rarefied environment than the one watched over by The Stand’s iconic suicidal cowboy mural (with idiosyncratic portraits of regular comedians adorning every other inch of wall space). 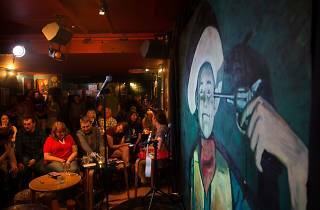 If you’ve not already a live comedy aficionado, make sure the Stand is on your to-do list; if you are, it’s already there.